New 3 metre wide prints were commissioned for the Cube3 Gallery at Peninsula Arts. The film was shown in the Crosspoint Gallery nearby in the same complex. 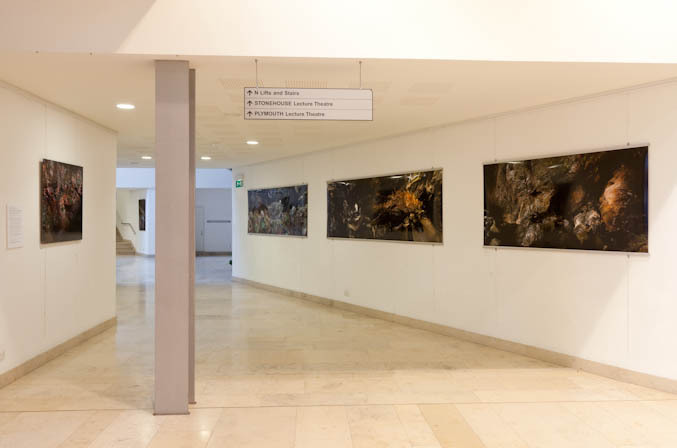 Stone Hole is a collaborative exhibition of large digital photographs by Crispin Hughes and a timelapse film by Susi Arnott, made in tidal sea-caves along the shoreline of North Cornwall. "A moving and deeply considered show which works on many levels"